I think most teachers can look back and remember at least one teacher who led them to where they are today. Can you? When I was in elementary school, I hated math. It was this series of random steps, it wasn’t creative, and I just plain had to work harder at it than any other subject. Looking back, I wasn’t “bad” at math- but I thought I was. In 7th grade, I started pre-algebra… and I was worried. To a math-hater, algebra is a scary word- and my teacher was pretty old-school. We had timed tests to learn decimal equivalents of fractions. He taught mainly through lecture at the board. But Mr. Wall was more than that. He pushed us to think and to see math as a puzzle. We weren’t following rote steps, but we were using what we knew and trying to problem solve. And it was okay if we weren’t getting it right so long as we were THINKING. Maybe the best thing about Mr. Wall was that he knew us, and he made it clear he was there for us. If we were stuck or wanted help studying for a test, all we had to do was ask- and he would come early or stay late to help us study. By the middle of the year, he had me- this previously math-shy kid who is NOT a morning person- arriving at school an hour early every Friday morning to work on math problems that felt near-impossible as part of MathCounts. I did it by CHOICE- because he’d made tackling a difficult problem and struggling through to get to an answer FUN. He changed my view of math. I went on to learn math as high as calculus, and probably would’ve gone further if I had stayed a science major. And even better? I didn’t hate it anymore. I saw math completely differently- and I saw myself differently. I didn’t believe I was “bad at math” anymore, and learned that it was okay for something to feel difficult at first. And now when I teach math… I teach it so differently than I was taught. And it’s all thanks to Mr. Wall. I had MANY great teachers as a child, and I firmly believe that TEACHERS ARE HEROES. Does it mean we’re all perfect, or even all good? No. But I’ve known many, many teachers- and the vast, vast majority give so much more than they’re given in return. If you’re reading this (a teacher blog, most likely on your own time)- you are one of those heroes who goes above and beyond for kids. for giving hugs and encouragement and love to kids who might not otherwise get it. for going in even when you’re sick because you don’t want to do sub plans. for doing grading and planning on your weekends and snow days. for thinking about your students when you’re off the clock. for teaching so much more than academics. for everything you do for the kids. Someday, at least one of those students is going to remember you as their teacher hero. And even if they never write a blog post about you, you will be part of the reason they are who they are- and that, my friend, means you have absolutely made a difference. TpT wants to thank you today- and I’m joining in. 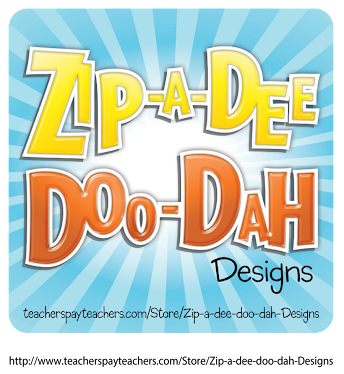 All items in my TeachersPayTeachers store Luckeyfrog (including March’s Text Detectives Jr.) are 20% off. You can save an extra 10% in any TpT store with the code HEROES. It’s not enough- but I know this money usually comes out of your own pocket, and I hope this sale helps you pick out something to make your life a little easier! For a little more inspiration, read about some of my friends’ teacher heroes- and share the inspiration with your teacher friends who need a little reminder of how awesome they are! Happy weekend, teacher friends! If you’re new here, I’m Jenny, a 4th grade science and social studies teacher who loves integrating language arts across the curriculum. Thanks to Sarah from Sarah’s First Grade Snippets for sending you here! While I was in college, I started reading teacher blogs. I discovered a new world of learning and inspiration- and I quickly realized I wanted to be a part of this world. Now that I’ve been blogging for a few years, I feel so fortunate to also collaborate with some of those amazing teachers from around the country. If you’ve been a reader of our blog A Class*y Collaboration, we’ve updated the look and name to match exactly what we want to give you- A Spark of Inspiration! To thank you for checking out the new blog and to help ring in spring weather, each one of our authors is offering a quick freebie- and the chance to win some serious gift cards! I’m sharing a sample of my newest resource that’s juuuust about ready for TpT- Text Detectives Jr.! Like my original Super Text Detectives series, your students color-code text evidence to answer comprehension questions… but the original set is written at about 3rd grade level (independent) , and the new Text Detectives Jr. sets are about a 2nd grade level! March’s full Super Text Detectives Jr. pack should be posted in my store by early next week- but you get a sneak preview! The passages in TD and TD Jr. have similar content and similar questions so that you can use the two packs together for differentiation in your 2nd or 3rd grade class, too! Click on the picture to download your free sample passages! You can read more about how I use them to teach my kids how to find text evidence here. When I was a reading specialist last year, my students LOVED these- and they really helped them learn, too! Thanks for stopping by my little corner of the Internet : ) Be sure to check out each blog to grab some freebies and enter our giveaway… starting with Megan from Mrs. Wheeler’s First Grade! Valentine’s Party K.I.S.S. -Keep the Party Sweet & Simple! As someone who doesn’t have a room mom (like a lot of teachers- but somewhat unusual for my school) and generally plans a craft, snack, and game for each party myself, I agreed immediately. For years, my team has done this. Send home a letter with student names, and a white bag. Ask each child to decorate their bag as much or as little as they want, but make sure their name is on it. 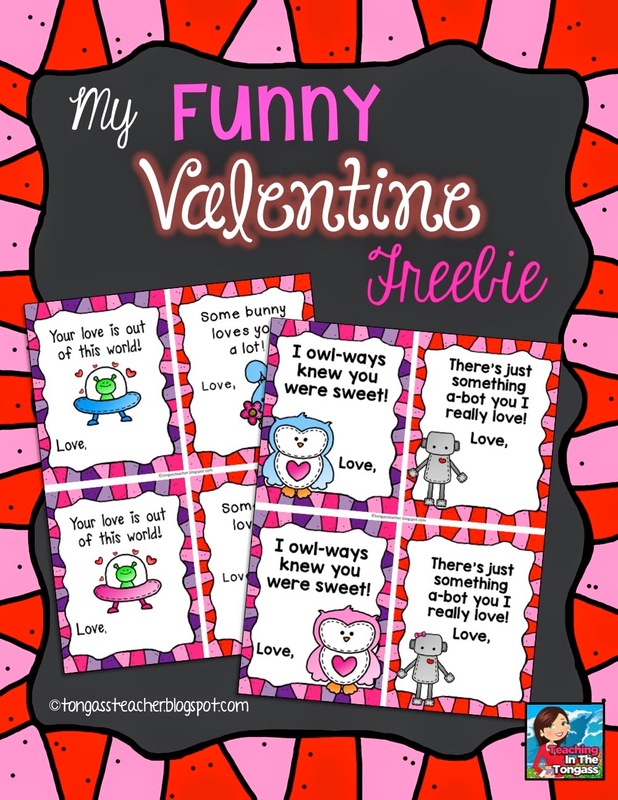 During the morning work time or when kids have finished work, they pass out their Valentines for the week or so until the party. Flash forward to the Valentine’s Party- when the valentines are already passed out. I sent one group at a time to go get their bag, and one group at a time to get snacks (a couple of kinds of fruit sent in by parents- because they’d have plenty of sweets!). Once everyone had both, we put on Charlie Brown’s Valentine’s Day on the 3M board and let them eat and open their Valentine’s bags. We ended the party by playing a little GoNoodle (our first time, and the kids LOVED it!) and then playing the old school hand-clap game “Down By The Banks,” which a lot of my kids had never played. They did a great job, even when they got “out”- and they roared with laughter when they got ME out of the game! This party was less work, less chaos… and my kids had a lot of fun anyway. I think they really enjoyed just hanging out together. There isn’t a lot of downtime or “just because” fun in 4th grade- especially when we’re departmentalized- and it was a good reminder to me to let that unstructured time happen once in awhile. I really do think it helps with classroom community- and lets you get more learning in later! What about you- hyper-organized party planner, or keep-it-simple planner? Science still needs to involve DOING science- demonstrations, experimentation, modeling, etc. But you can still include language arts skills. When we learn vocabulary, I rarely just tell students what a word means. I love to let them try to figure out the meaning themselves, often through context clues or known word parts. For example- as we learned the word biotic, I wrote it on the board and underlined “bio.” I asked the kids what other words they knew with “bio”- and the kids were amazed that Bioshock (a video game) and Bionicles (a show) actually had something to do with our science vocabulary. After we made a list of other words, we talked about what they meant and looked for a common thread in the meanings. It wasn’t long before they were able to point out that “bio” must mean life or living. From there, they were able to make the jump to what “biotic” meant. And abiotic? 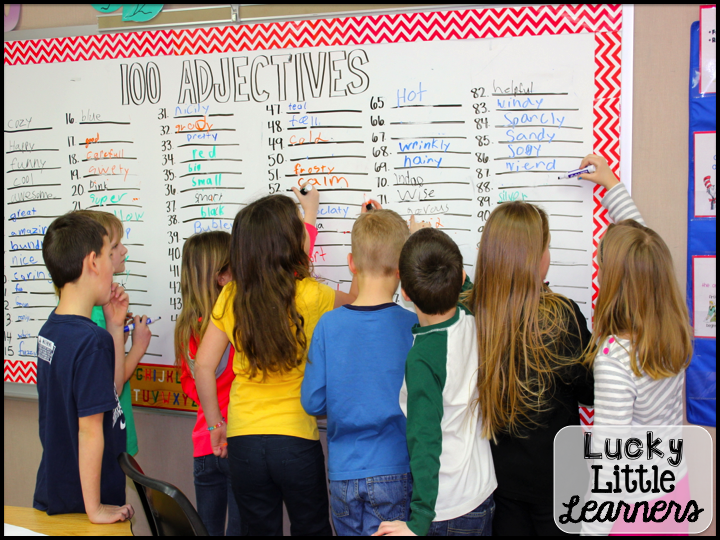 Well, now we’re talking prefixes- as well as strategies for figuring out an unknown word. Root words and prefixes/ suffixes are also great for talking abut different areas of science- geology, biology, thermodynamics, etc. Whenever we are learning new vocabulary in science class, we talk about the word parts in part to help us remember meaning. 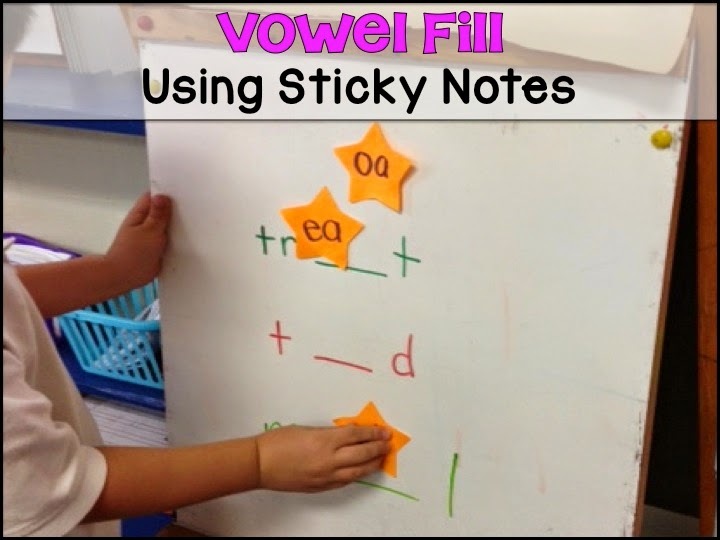 I also love to use vocabulary cards, and sometimes I add visuals to them (like in the graphic above) to help the meaning stick. Once we know the meanings, I love to add motions and do some Whole Brain Teaching-style mirroring and teaching to really cement the words and meanings in our memory.